As April is bowel cancer awareness month, I was keen to get the first issue of the Project Dissimulation zine completed in time for April – so keen that I managed to be finished early! When I first put out a call for donations of bird-themed used postage stamps and artistamps, I didn’t really have a clear idea of what exactly I would do with them, although the title chosen for the project obviously lent itself to working with collective nouns (a dissimulation of birds being the traditional collective noun for a group of birds). Once I sat down to get started, though, the idea shaped itself and the first zine was quickly born, as well as a series of badges. Please click through to the TangleStore to support Project Dissimulation with a purchase – any profits from Project items sold will be donated to a bowel cancer research/awareness charity. The first issue of the Project zine features a variety of collective nouns for birds, illustrated with selected used postage stamps which were donated to the Project. I’m not sure yet how many zines there will be in total, but I will keep going as long as there are stamps to work with. 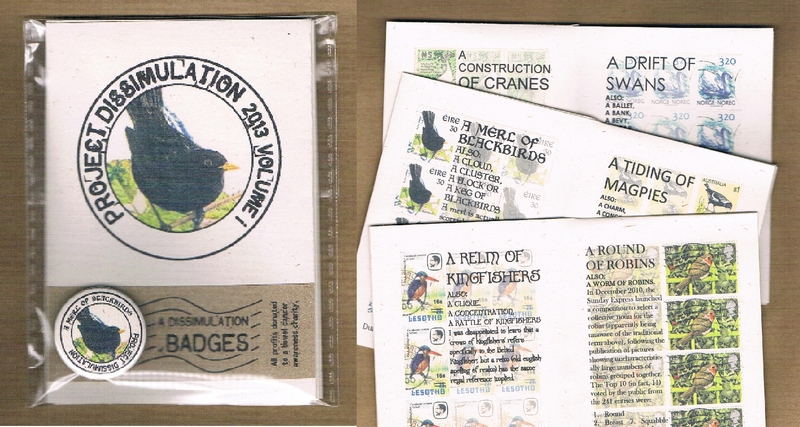 🙂 In addition to the current items available, there will soon be a one-off chance to buy a set of badges made from the actual stamps used to illustrate Volume I, as well as bird badges grouped by species. As the Project progresses, I’m also planning envelope seals, address labels, postcards and mini-notecards – watch this space for updates & availability! Just a reminder that I still have an open call for bird-themed used stamps (& artistamps) for Project Dissimulation. 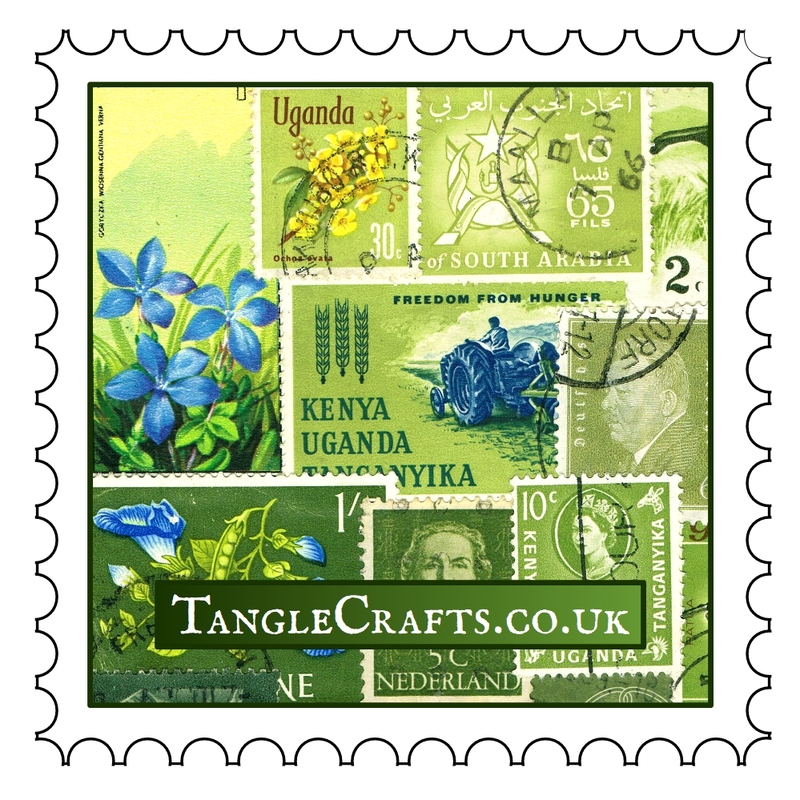 I’ve received some beautiful stamps already, and am really looking forward to craftifying them! 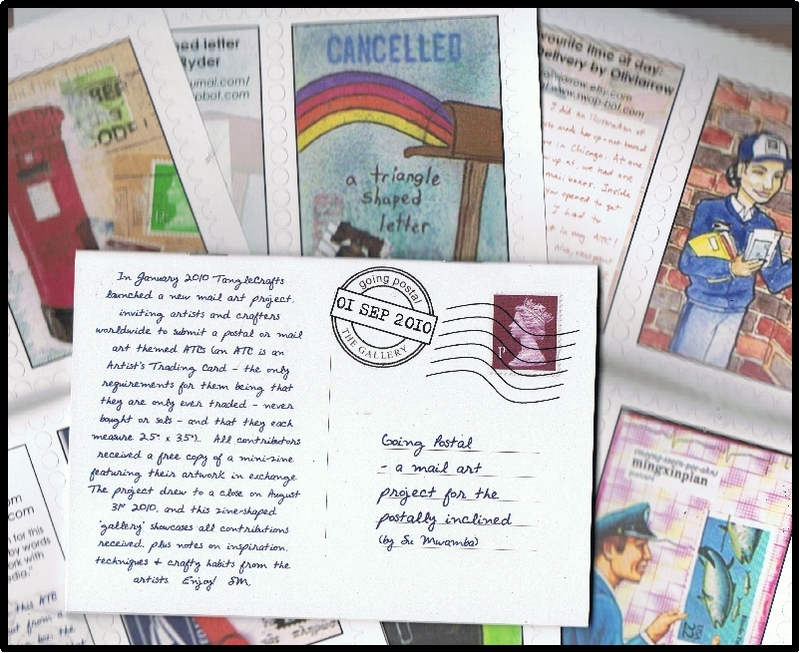 The first Project zine will be issued in April, to coincide with Bowel Cancer Awareness Month (in the UK; not sure if this is international or not), but I will be continuing to collect stamps & artistamps for the project & will release further mini-zines as material is collected. Follow the link for full details of the Project & how you can help. 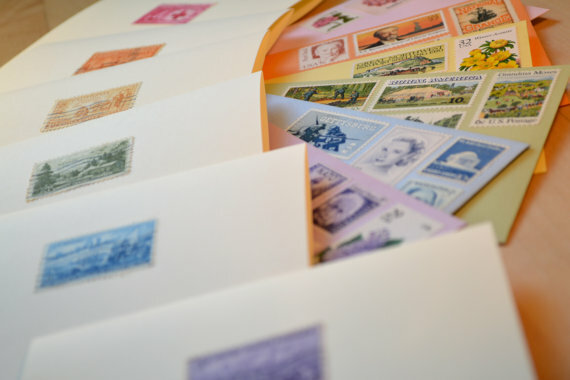 If you’re fond of postage stamps but don’t have any bird stamps for the Project, don’t worry, I won’t hold it against you! 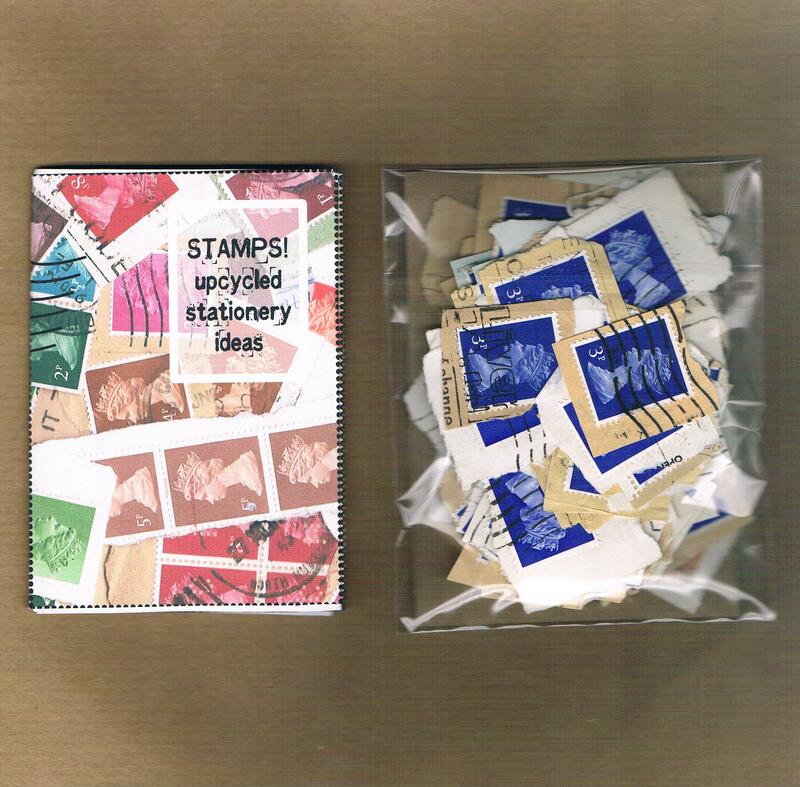 I’ve also recently decided to clear out some of my excess hoard of used Machin stamps – can I tempt you? I’ve put together some colour themed packs in the TangleStore so that you can creatively upcycle them however you choose, because with the best will in the world, I will never have enough time to use them all myself! 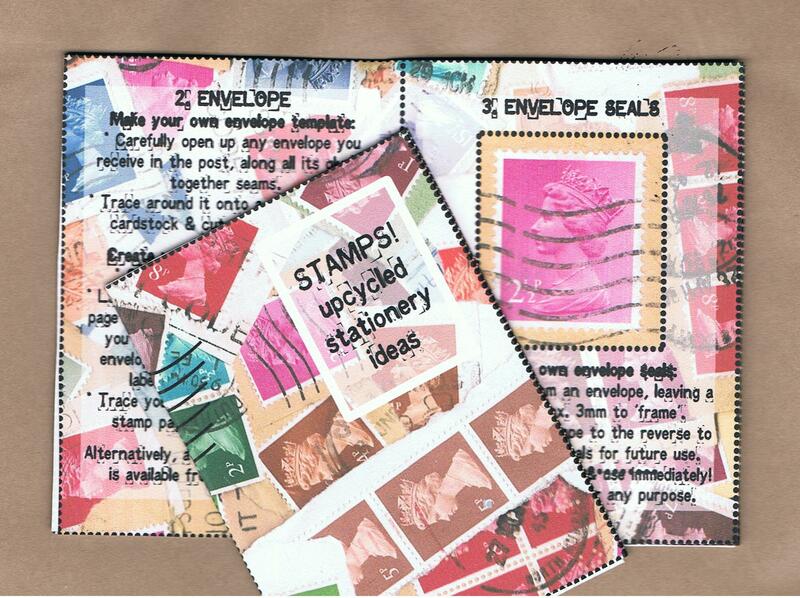 I’ve also put together a couple of packs with a stamp-upcycling mini-zine for inspiration. This mini-zine was written in 2011 but hasn’t been available for sale before & will only be available now while my stocks of these used stamps remain. See listings for more pics & info. Posted on March 18, 2013 Categories dissimulation of birds, Eco-friendly Crafts, Inspiration, Kits, Mail Art, re-purposed crafts, ZineTags artistamps, Mail Art, postage stamp, postal, projectLeave a comment on Stamps! 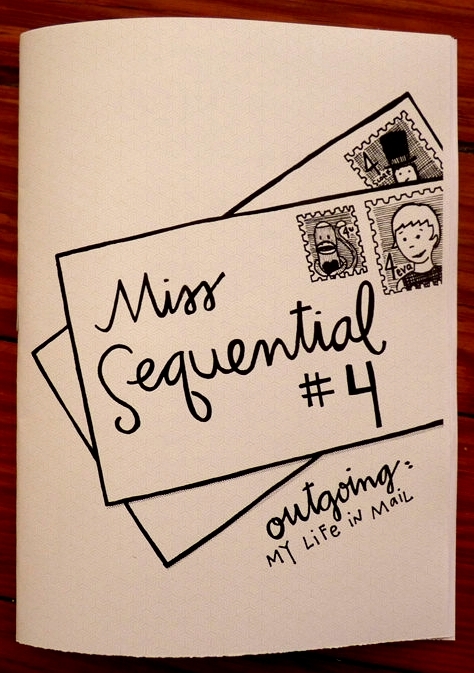 I suddenly realised I only have 7 copies left of my Going Postal zine! It might have had a few more views thanks to this fantastic review by Jennie Hinchcliff (co-author of Good Mail Day) on her RedLetter Day Blog (thanks Jennie!). 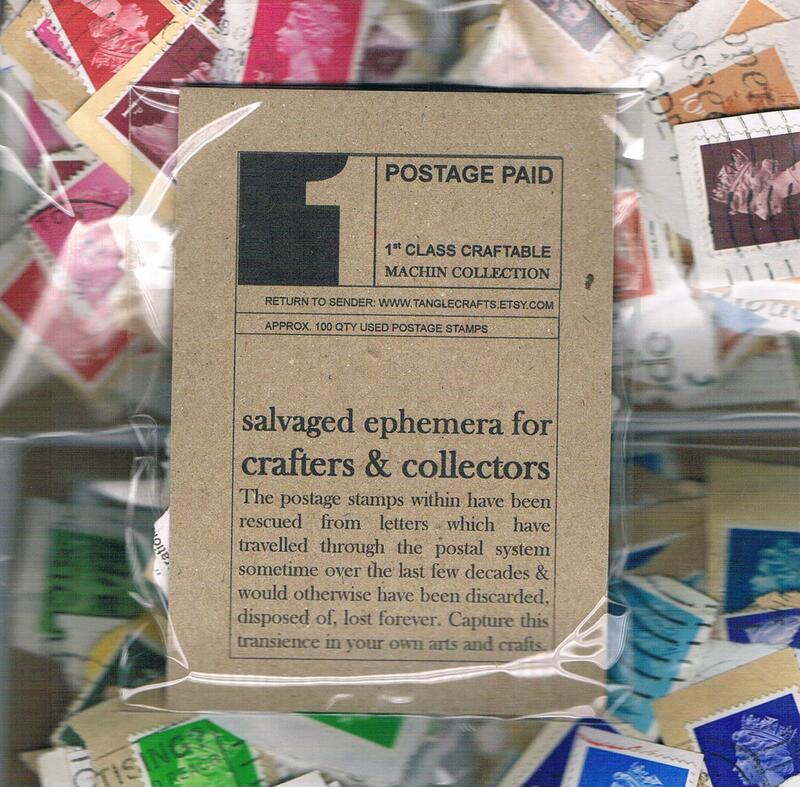 Posted on January 18, 2013 January 24, 2013 Categories Inspiration, Links, Mail Art, Ordering, stationery, ZineTags Links, Mail Art, postal, treasury, zines4 Comments on How did that happen? 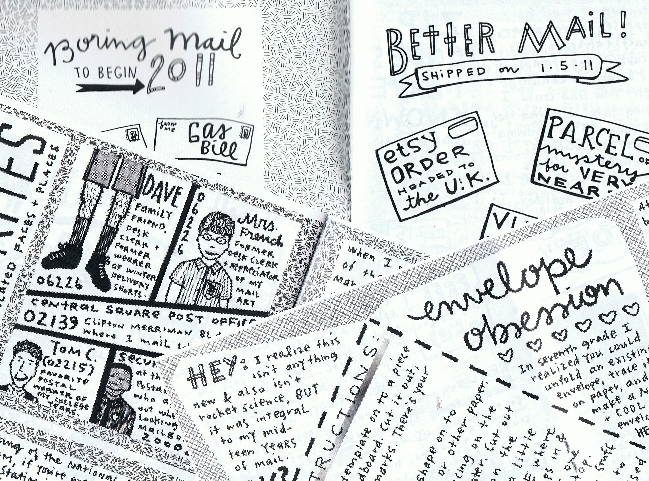 July’s TangleClub freebie has just been added – hop over to the TangleClub Archive for an exclusive-to-TangleClub-members printable Mail-Craft Mini-Zine! I spent a lot of June playing with my lovely collection of Machin stamps (and making badges from them!) so this mini-zine was the natural progression. It includes some very easy ideas for making your own, personalised stationery by using & upcycling your own collected postage stamps, plus some Etsy links for further inspiration. If you are not currently a member of the TangleClub but want to share the monthly freebie goodness, click here for all current membership options, and remember, if you spend $10 or more in the TangleCrafts Etsy Store, you will qualify for TangleClub Basic membership absolutely free!